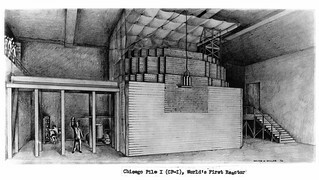 The first sustained nuclear chain reaction occurred under the stands of Stagg Field at the University of Chicago. Is that site still radioactive? Can abnormal levels of radiation be measured there? Don't worry, the field is safe! Grab your Geiger counter and find out how careful U Chicago's scientists were (and weren't) in the World War II era.